From developers Unknown Games and M2, Koihime Enbu is a fighting game adaptation of BaseSon’s Koihime Muso (or “Musou”) franchise. An adult visual novel/strategy game hybrid, Koihime Muso: Doki Otome Darake no Sangokushi Engi (loosely translated as “Love Princess Unmatched – Romance of the Three Kingdoms Filled With Girls”) released exclusively for Japanese audiences in January 2007 with two more installments following in later years, and a European PS2 port of the original title; the franchise also received both an anime and manga series. As suggested by the loose translation, Koihime Enbu and its visual novel counterpart are loosely based on the Chinese novel Romance of the Three Kingdoms, the same material behind Koei Tecmo’s iconic Dynasty Warriors franchise; the game features female versions of the primary Romance of the Three Kingdoms cast. 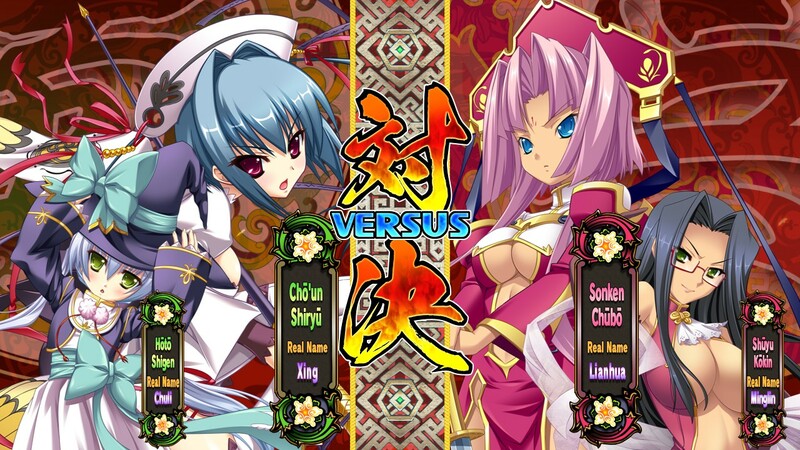 Koihime Enbu draws influences from both the visual novel/strategy games and the anime spin-off. The story is told on a grand scale through Scenario Mode, with Arcade Mode featuring more personal character interactions between fighters. 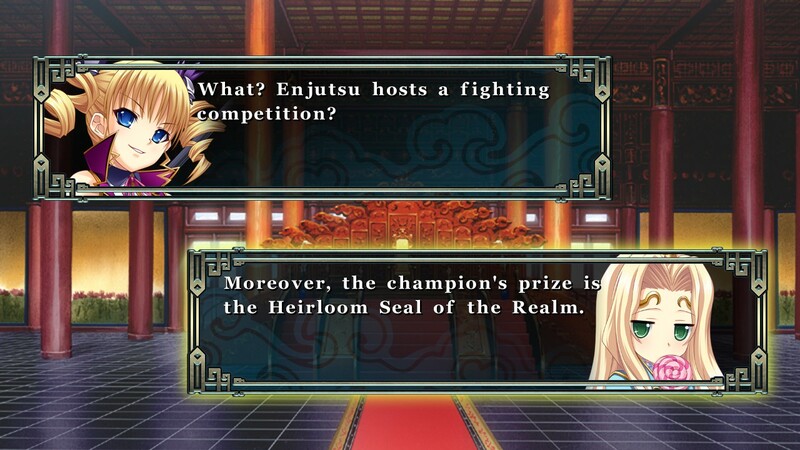 Rather than focus on the conflict between the Kingdoms and factions of Koihime Muso, the Fighter has members of the three represented groups engaging in a fighting tournament to claim the Heirloom Seal of the Realm. The fighting tournament itself is orchestrated by Enjutsu Koro, ruler of the Henan region in the Koihime Muso series. Since the game assumes the player is already familiar with the Koihime Muso series, the story may fall flat with some players. The most accessible and “appropriate” ways- considering the content of the visual novels- to invest in the background of Koihime Enbu are to either read Romance of the Three Kingdoms, play the Dynasty Warriors franchise, or invest in the anime and manga series. 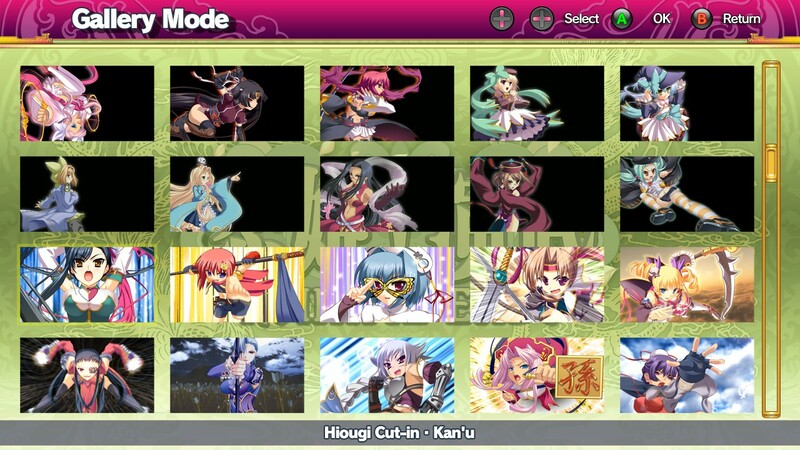 Apart from the Scenario Mode, Koihime Enbu features an Arcade Mode with moderate dialogue exchanges between characters, Versus Mode, an Online Mode with Ranked and Player Matches, a Training Mode with several customization options, and a Gallery featuring artwork and character-specific animations. Players can also watch previous Versus and Online Mode matches in the Replay Mode, as past bouts are automatically saved. 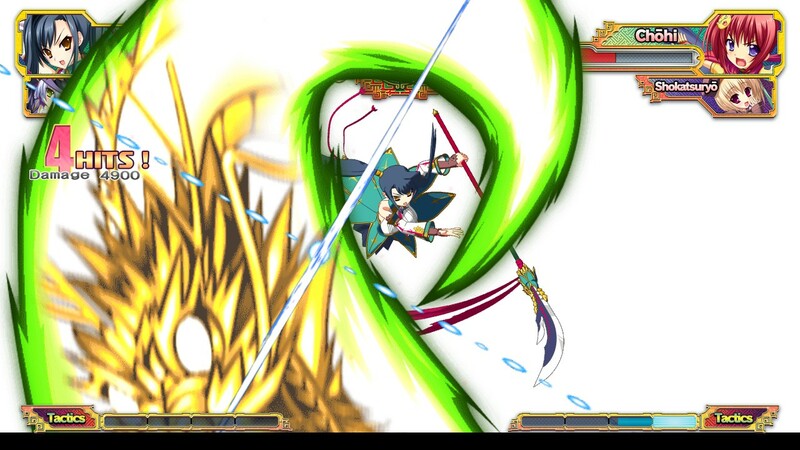 Koihime Enbu is what some would classify as an “Anime Fighter” with its hand-drawn and computer-modeled visuals, however it doesn’t quite reach the insanity of the Persona 4 Arena titles and the Guilty Gear franchise. Koihime Enbu keeps most of the action at ground-level; what it lacks in air-based combat, Koihime Enbu makes up for in solid 4-button mechanics that appeal to both new players and genre veterans. 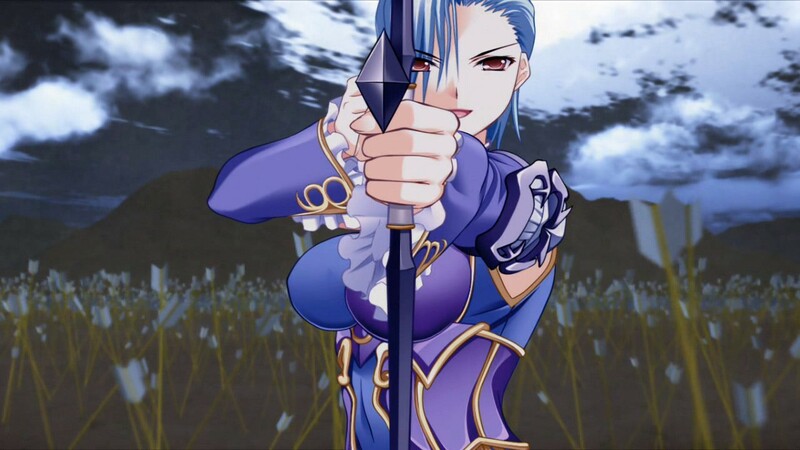 Players choose one of thirteen characters and an assist “Strategist” character, however the seven Strategists are locked to each faction; in the case of the rogue warrior Ryofu, players can only select Chinkyu as her Strategist assist character. As previously mentioned, Koihime Enbu is a 4-Button Fighter with a button dedicated to Light (A), Medium (B), and Hard (C) attacks, with the final button (D) having multiple functions, such as a close-range grab. Each character has three special attacks- usually a projectile, anti-air attack, and a zoning move; with a few exceptions, button inputs are generally the same across the cast. Koihime Enbu‘s version of a Special meter, the Tactics Bar fills with every successful attack or blocked strike, with unused energy carrying over into the next round. If the Tactics Bar has a minimum of one stock full, the player can activate his or her Strategist attack; depending on the chosen Strategist, this can either be a homing attack, a whirlwind that pushes the opponent to the opposite side of the stage, or an invisible trap placed in the stage. One stock is also required for an EX Special Attack, performed with a button input followed by A+B (Light + Medium). Once the player has three stocks in the Tactics Bar, he or she can attack with an Ougi super attack with the D-Button. After stunning an opponent with a Hougeki strike, players can follow up with a slam that bounces the opponent into the air (Forward + Medium/B), a “launcher” (Down/Forward + Medium/B), or knock her backwards (Forward + Hard/C); Forward + Hard/C will result in a wall-bounce if the characters are close enough to the edge of the stage. Each Special Pursuit Chance can be used only once in a combo, or until the opponent finishes her falling animation. If the player has a full Tactics Bar, he or she can end a Hougeki-induced combo with a Hiogi super attack; this flashy cutscene attack can only be performed after a Hougeki strike or combo. While Koihime Enbu features a combo-driven Challenge Mode hidden within the heavily customizable Tutorial Mode, new players may want to watch the Tutorial Movie before diving headlong into the action. Strangely, the Tutorial Movie is hidden within the Title Screen sequence; players must sit through two gameplay demo movies, an Arcade Mode ranking sequence and the Intro Movie before viewing the Tutorial Movie. (Alternatively, players can fast-forward by pressing whatever key/button is mapped to “B” on a controller.) It can be viewed afterwards at any time in the Gallery. Japanese gamers saw the release of Koihime Enbu on both the PS4 and PS3, however North America will only receive a PC version. Reminiscent of the PC version of Guilty Gear Xrd -SIGN-, the PC port of Koihime Enbu received a slight downgrade from its PS4 counterpart. It’s almost nonexistent to the passive eye, however character sprite animation isn’t as fluid as the console version; the Steam release also runs at a native 720p. Fortunately the soundtrack is still intact, treating players to various Oriental-inspired string and rock tracks. Koihime Enbu may appeal to three types of players- fans of the Koihime Muso franchise, fans of Anime Fighters, or new players looking for a competent entry-level assist-based Fighter. Due to the lack of source material in the US, Koihime Enbu may end up as just another obscure fighting game, but those willing to give it a chance are in for quite a treat among PC-exclusive Fighters.